Software engineers have long been the vaunted kings of Silicon Valley, but a new power nexus is rapidly emerging: Product management. Now the highest paid role in technology in the United States, United Kingdom, and Australia, the meteoric rise of product management mirrors that of software developers in the 1990s — not just in monetary terms, but also in terms of cultural clout and ‘unicorn’-like scarcity. Higher demand is driving higher salaries, with no signs of stopping. Per Hired’s 2017 Global State of Tech Salaries, Product managers bring in the highest average salary offers of any tech role. 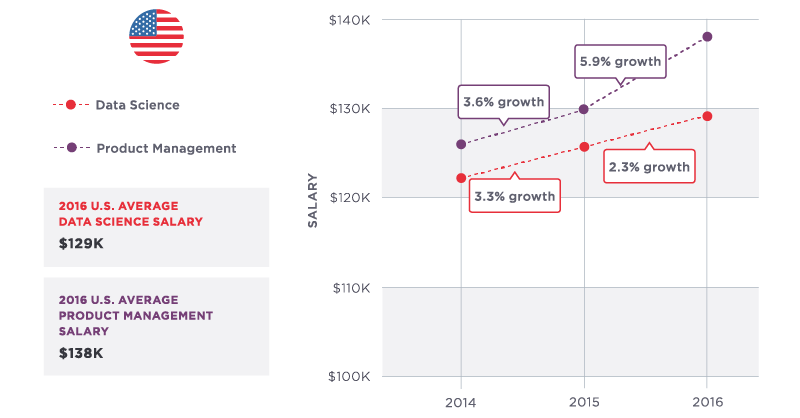 In 2016, product managers saw a 5.9 percent increase in US salaries to an average of $138k, and 1.6 percent in the UK to an average of £64k0 ($84k).. While UK salaries are lower across the board, product managers are still coming out on top at $83K (£64K) on average in 2016. Good PMs merge technical skills with marketing acumen. We analyzed more than 280,000 interview requests and job offers from the past year to identify the most in-demand PM skills, and the top 6 skills (see right-side image) reflect the cross-functional, full-stack nature of the PM function. Mature markets have raised the stakes. 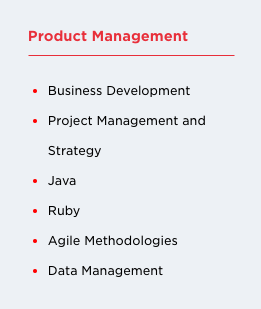 It’s hard to hire good product managers. There’s no clear rubric for evaluating PM talent. Due to a wildly varying understanding as to what product managers actually do, there’s no clear industry framework for evaluating how good any PM is at their job. “Right now, being ‘good’ at Product isn’t about skills,” writes Lola VP of Product Ellen Chisa. “It’s about if someone will give you a chance.” Absent of a shared understanding of how to grade PM candidates, hiring managers judge candidates based on where they’ve worked (which is problematic for both parties, and often results in homogenous teams). The PM CEO has replaced the programmer CEO. In the same way the 90s was the decade that minted hacker CEOs, we are now witnessing the era of the PM CEO. Technical idols like Bill Gates and Steve Wozniak of the 90s have since been replaced by a legion of CEOs who cut their teeth on product teams (Yahoo’s Marissa Mayer, Slack’s Stewart Butterfield, Google’s Sundar Pichai, Drift’s David Cancel, Fog Creek Software’s Anil Dash, and more). What’s driving this PM flooding of the C-suite? “Because a PM has a disproportionate impact on setting strategy and deciding what work actually gets done, she is the key to success or failure,” writes David Auerbach in his masterful The Age of the Product Manager. As markets mature, the stakes are higher, market leadership is no longer secure just by being first; the product has to earn it. “Though it’s easier to start a company than ever before, it’s harder to compete,” Medium’s Ev Williams laments. About the author: Whitney Ricketts is Hired’s Director of Content Marketing. Prior to joining Hired, Whit ran growth at NeonMob, communications at CreativeLive, and reality TV gossip reporting for Wetpaint.